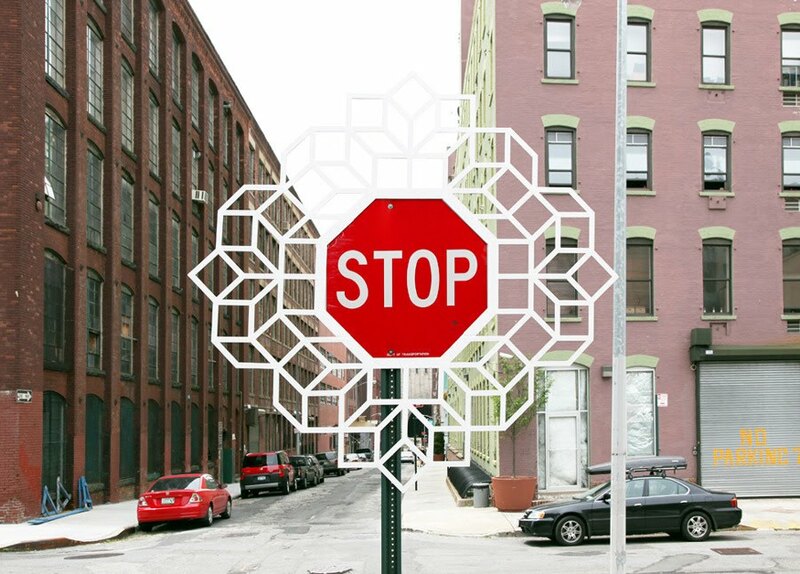 Artist aakash nihalani recently created this site specific sculpture installation on a stop sign in new york. 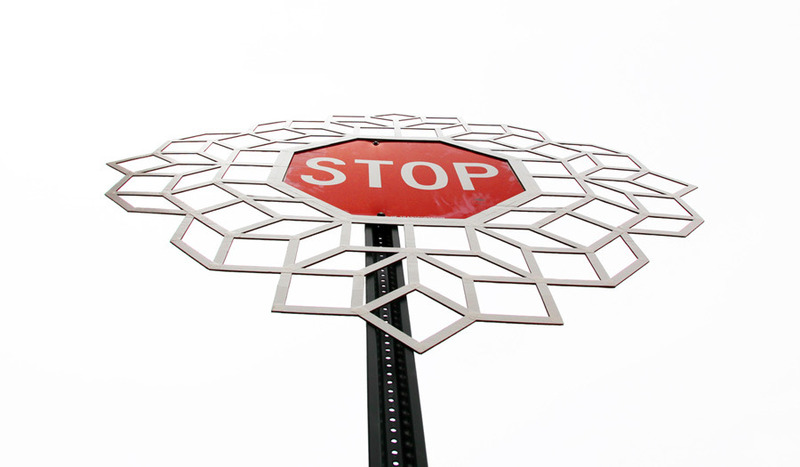 The project features a cut-out design that nihalani installed around a stop sign to create a decorative, flower-like border. 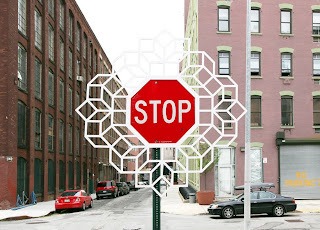 The design uses nihalani signature geometric pattern which adds a whimsical touch to the otherwise standard sign. 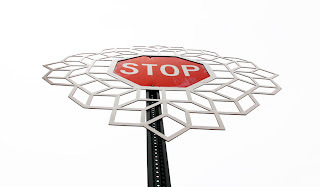 Nihalani created the piece by taping the pattern on sheets or cardboard and cutting the form out.